You have personal and professional goals and a solid vision for your future. At Capital Financial Solutions, LLC. Our independent firm shares this visionary spirit. We know the commitment it takes to reach these goals and since our inception we’ve been dedicated to helping clients in all stages of life achieve financial freedom. Through our process you will find that our continued success with clients stems from our dynamic group of financial professionals who will always work in your best interest. We uphold the traditional values of being a service business and promise to maintain access to a wide variety of innovative products, services, and technology. 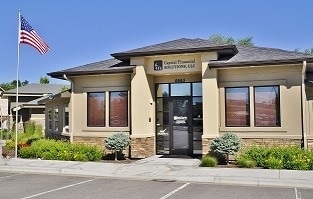 Based in Boise, Idaho, we work with clients throughout the Treasure Valley, Idaho, the Northwest, and all over the United States. We invite you to contact us today to learn more about how we can help you pursue your goals.